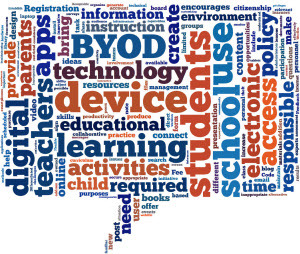 Having different devices can present a challenge when planning lessons, designing activities, and assessing learning. At some point, a teacher needs consistency. Web apps allow everyone to use a different device to access the same online application. There are many web apps to choose. Some web apps are free, whereas others have user fees. Some web apps are accessible to any user, whereas others require registration using an email address. The status of web apps tends to change frequently, so it is a good idea for teachers to verify their accessibility prior to using them as part of a lesson. Finding high quality web apps can be time consuming. Refer to the list of popular web apps. For each there is a description, URL, suggestions for use, fee structure, and registration requirements. Please note, the range of web apps is extensive and this is just a tiny snapshot of the possibilities. Description: Create a web-based publication consisting of short articles posted in reverse chronological order. Activities: Aside from blogging about a topic of interest, students can use their blog to write reading responses, record a digital reading log, produce a school/class newspaper, discuss current events, engage in joint serial writing, solve brainteasers, post video tutorials, reflect upon learning, maintain a science fair diary, write a research series, or communicate with e-pals. Fee: Free for a trial period, then an annual fee. Registration: The teacher must register for an account. They can then create a class of students and set the username and passwords for each user. Description: Store files online for easy access. 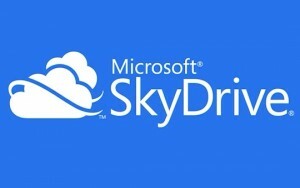 Popular services include Dropbox, OneDrive, and Google Drive. Activities: Use online digital storage to store and share files such as photos, videos, forms, presentations, policy documents, assignments, or other handouts. Registration: Users require an email address. Description: Create documents, presentations, spreadsheets, forms, drawings, and more using free online productivity tools. Registration: Users require a Gmail account. Description: Create documents, presentations, and spreadsheets using free online productivity tools. Registration: Users require a Microsoft account. Description: Create an online community by setting up a class and then using digital tools to post messages, alerts, assignments, quizzes, polls, and library resources to members. Activities: Manage your classroom by having all students become members of the community. Use the tool to schedule activities in the calendar, share files or bookmarked websites using the library, post assignments, tally survey results, and automatically grade quizzes. Registration: The teacher needs to get an account. Once registered students are provided with a code, they can use to create their own accounts. Parents can also be invited into the community using a parent code. Description: Present information using a zoomable canvas that allows viewers to navigate from one idea to the next in a non-linear fashion. Presentations can be accessed online, embedded into a blog or website, or downloaded as a pdf or as a portable viewer. Activities: So many options, so little time. Here are a few: insert a picture (human body, map, solar system, diagram) and place frames over top of the parts to describe each element; design a timeline with frames to explain each historic event; or create a mind map to illustrate a concept. Fee: Education licenses are free. The paid versions provide users with additional features such as more storage space, capacity to work offline, support, etc. Registration: The free version requires an email address and students must click on a link to activate their account. The form is simple and only requires name, email, and password. Description: Create, organize, and store notes, photos, audio reminders, web content, and more in notebooks and make them accessible from any device. App: You can install Evernote on any device. Activities: Create a notebook of files and bookmarked websites and share it with students. Have students organize their research easily by taking whiteboard shots, writing text notes, clipping web pages, or bookmarking websites in a notebook. Registration: Requires an email address. Description: Generate a word cloud, which is a visual representation of text, with commonly used words appearing prominently in a larger font. You can print, share it as a link, embed it into a blog or web page, or screen capture it. Activities: Here are some popular uses of word clouds: illustrate a famous speech, visually portray character traits from a character in a novel, highlight the important parts of a report, or produce a word graph of survey results. Word clouds can be used as pictures on title pages, presentation slides, posters, or bulletin boards to represent a concept visually. Word clouds can also be used as a tool to introduce a new unit using word association, for example, “We are going to do a unit on medieval times. What do we already know about this topic?” It is great to repeat this activity at the end of the unit to see if students can generate more words. Description: Conduct a quick poll by typing in a question, setting the choices, and then sharing the URL with students. Watch the results instantly tally. Since the identity of the respondent remains private, it offers an effective method for gathering honest feedback, especially in a situation where a student might be reluctant to raise their hand. Activities: Use this tool to gauge student opinion, monitor progress, gather ideas for upcoming events, or quickly test understanding of a concept. It is also a great way for a student to end a presentation or speech with a quiz for the audience. Description: Produce a bar code that when photographed by a device with a QR code app will display information such as a web page, online video, contact details, or text. Activities: QR codes are a great way to have students engage in scavenger hunts or orienteering activities. Consider using them when going on a field trip to encourage students to pay attention. As well, they are a fast way to provide parents with contact information. Another idea is to post them as part of a school art exhibit, science fair, or open house to have visitors access more information about a topic. Description: Promote audience participation by creating a digital meeting room and then have students ask questions or post comments that appear as a live stream. Activities: Engage learners. During a speech or presentation, have audience members post questions about the topic. At the end, the presenter can select a few to answer. When introducing a new topic, have each student ask a question or identify an area of interest. Save the list as a transcript to use as a guide to shape the unit. Description: Create talking animated characters by customizing their appearance, producing a one-minute audio file, and then sharing it by email, social media, blog, or a website. Activities: The options are limited only by your imagination. To get you started here are some ideas: write a poem and have Voki recite it; create a Voki of a character as part of a novel study unit; or give a speech by portraying a Voki as a historical figure. Fee: The free version requires each student to register. The subscription version, which offers class management tools, is $29.95/ year. Registration: The free version requires an email address and students must click on a link to activate their account. The form is simple and only requires name, email, password, and birthday. Description: Install applications using the Chrome web browser. The type of apps vary. Choose from e-books, creative tools, interactive information, flashcards, or drill and practice games. MeeGenuis! Children’s Book: A bookshelf of audio books for children. Pixlr Editor : Photo editing software that is similar to Photoshop. Apply filters, adjust color, clone, remove red eye, and more! Useful Periodic Table: Click the interactive periodic table to learn about the elements. Take a quiz of the names, symbols, and atomic numbers. Brain Pop Featured Movie: Watch the animated movie daily about a historical event and then test your knowledge with an interactive quiz. Learn Dolch Sight Words: Beginner readers can practice their sight words with flashcards that provide audio feedback. Fee: Many apps are free, some offer free trials, others give you partial access, and still others have a subscription fee. Registration: To use Chrome Web Apps a user needs to have the Chrome browser installed and a Gmail account. Each app has different registration requirements.